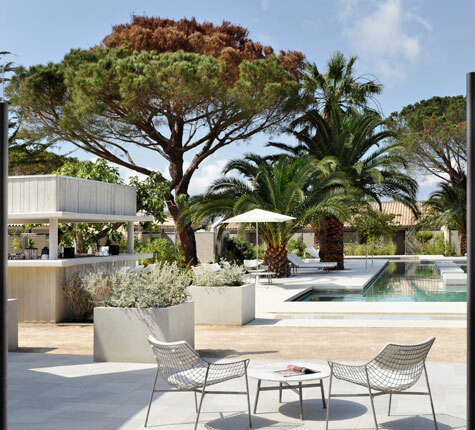 Hotel Sezz – a member of Design Hotels – was transformed from the ruins of a previous hotel by star architect Jean-Jacques Ory who has created a sleek design boasting 37 guestrooms, suites, and villas with private balconies. 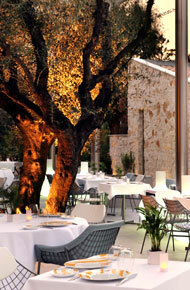 The small resort sits in a secluded wooded park creating the feel of a hidden village. 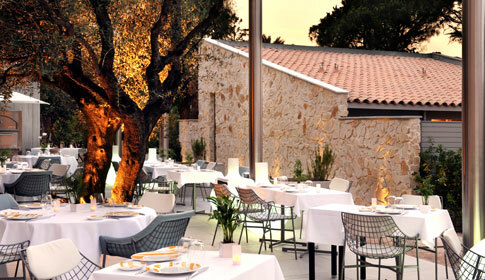 Landscape designer Christophe Ponceau introduced olive trees, palm trees, mimosas, and fig and lemon trees to the lush gardens surrounding the hotel. 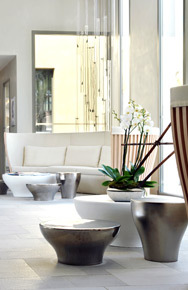 Inside, Pillet – who trained under Philippe Starck – has used a colour palette of white, light grey, dark brown, light blue and saffron to add timeless elegance to each of the individually designed rooms. 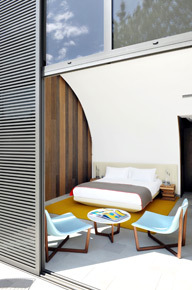 His own designs feature throughout the hotel and all the furniture has been designed in collaboration with various international brands, including chairs by Emeco and bathroom fixtures from Fantini. 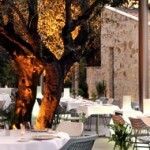 Kalaidjian has appointed world-renowned chef Pierre Gagnaire as head chef at Restaurant Colette. 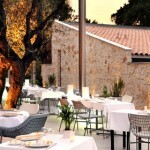 Gagnaire will serve fresh Mediterranean food, with ingredients sourced from local suppliers, to hotel guests and local diners. 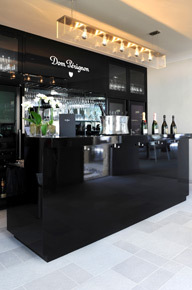 The hotel also houses a Dom Pérignon Champagne bar next to the restaurant. In keeping with the many well-selected partnerships, the hotel’s spa is a collaboration with French cosmetic brand Payot. 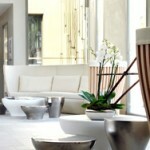 Spa Sezz offers guests a range of treatments and therapies with Payot products, and use of a Jacuzzi and hammam. 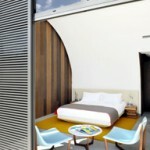 Escape is right at the heart of this unique new approach which is grounded in environmental sustainability: LED lighting throughout the property, recycling of water and soap, energy saving, general efficiencies all show a determination for the hotel to function at one with the environment.